Washington: A simple quality toolkit may help improve the outcomes of heart attacks and other major cardiovascular disease events in Indian hospitals, a major study suggests. The toolkit of checklists, education materials and quality and performance reporting improved the quality of care in hospitals in Kerala, according to the study published in the Journal of the American Medical Association (JAMA). Previous studies have identified gaps in the quality of care in Kerala, researchers said. An international consortium, including Northwestern University in the US and several Indian institutions, recruited over 21,000 patients from 63 hospitals between 2014 and 2016 to try and improve heart attack care. 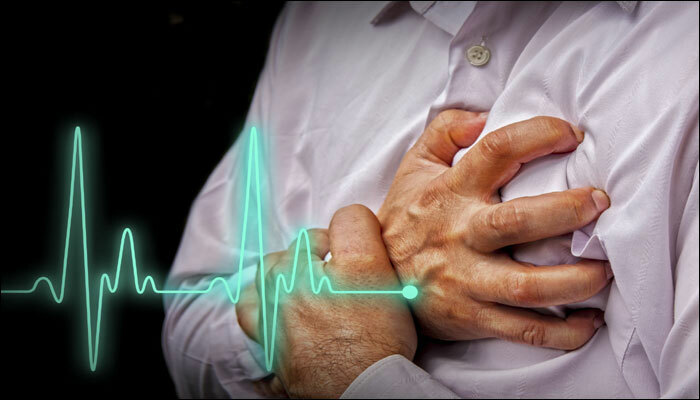 The Acute Coronary Syndrome Quality Improvement in Kerala (ACS QUIK) study represents the largest randomised trial in cardiovascular medicine in India to date, researchers said. It is an important milestone in a country that has more heart attacks than any other, they said. Over the course of the study, hospitals were first assigned to deliver usual care, but were then randomly assigned to implement a quality improvement toolkit. It included audit and feedback reporting, checklists, patient education materials and linkage to emergency cardiovascular care training, all common strategies in the US. The researchers used a complex, yet useful, method known as a “stepped wedge” design, which improves investigators’ understanding of the effects of complex interventions. The investigators measured the quality of care delivered by physicians, as well as patients’ rates of major cardiovascular events including death, heart attack, stroke or major bleeding 30 days after hospital discharge. The study found that the intervention group experienced higher rates of key in-hospital and discharge medications. The intervention group also experienced lower rates of major cardiovascular events at 30-day follow-up compared with the usual care group – 5.3 per cent versus 6.4 per cent. However, after accounting for variables including time trends, those findings failed to reach the level of statistical significance, researchers said. The overall results suggest favourable trends in outcomes among heart attack patients in Kerala, which have improved over the past decade based on the team’s prior work and are similar to outcomes among US heart attack patients, they said. “While we hoped that our trial would achieve its primary outcome, we demonstrated a high level of baseline care in Kerala,” said Mark Huffman, associate professor at Northwestern University. “Over the past decade, patients in Kerala with a higher-risk of heart attack, known as a ST-segment elevation myocardial infarction, are twice as likely to survive their heart attack to hospital discharge, a survival rate that now exceeds 95 per cent, which is similar to countries like the US,” said P P Mohanan, director of Cardiology at Westfort Hi-Tech Hospital in Kerala. Beat stubborn post-pregnancy fat with this quick 5-minute workout! May 8, 2018 healthfortnight Comments Off on Beat stubborn post-pregnancy fat with this quick 5-minute workout!